Elenor was born in Wetaskiwin, Alberta, in May 1937, the only daughter to Emil and Ruth Price, and older sister to Wallace (Wally). She attended a one-room schoolhouse until high school, at which time the family moved to Edmonton. She graduated a year before the entry age for nursing school so Elenor worked as a cashier at Woodwards, a job she enjoyed, then entered the Royal Alexandra Hospital nursing program. She married Russell Hofferd, who had three small children, Brian, Russel Jr., and Wendy, shortly after graduation in 1959.They lived and worked in the Northwest Territories and Northern Alberta. Elenor and Russell then raised their two sons, Tim and Brent, and daughter Ruth in Northern Alberta, Prince George, the Peace River Region and Chetwynd, B.C. Russell passed after 33 years of marriage. When she retired from nursing in 1993 and was enjoying her life as a busy grandma, she met a wonderful man at the senior’s center in Dawson Creek and they eloped in 1996. Harold Roberts and Elenor generously shared their busy retirement years with a combined total of 8 offspring and their families. Together they travelled extensively from coast to coast in Canada, including the Yukon, several European countries and quite a few states in the U.S., a highlight was visiting Normandy with Harold for the 50th anniversary of D-Day. They kept very busy with gardening, bridge, raising Labrador retriever puppies, curling, the B.C. senior games, Ducks Unlimited, the Royal Canadian Legion, volunteering and spending time with their beloved family. Harold passed in 2011 after 15 years of marriage. Her final years were spent at a delightful and active senior’s residence filled with terrific folks in Kelowna, B.C., close to many family members and her dear friend Bill. She never stopped being busy, always cared deeply for her friends and family and her healing touch, kind and compassionate nature, will truly be missed by all who knew her. Elenor passed suddenly but peacefully surrounded by family who loved her deeply. 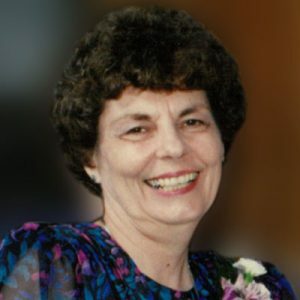 She is survived by her three children, Tim, Brent (Wendy) and Ruth, her five step children, Ross, Gail (Wayne), Hal (Gloria), Sandra (Terry) and Bonnie (Gerald), 13 grandchildren, 13 great-grandchildren, her brother Wally (Inez), nephews, nieces, cousins, family and friends, all of whom will miss her immensely. The service for ROBERTS, Elenor Price Hofferd is scheduled for Saturday, October 27, 2018 at 1:00 pm . Below you will find the map for the service location and the contact information should you have any questions. To Elenor’s family, my deepest condolences. I just learned of Elenor’s passing today and am very shocked. Elenor was so vibrant and engaged in everything she did, a very genuine person. I will miss her, as will everyone here at the Adderley, she did so much for the welfare of the building and its residents. Thinking of you at this difficult time. To all the family of Elenor. My heartfelt sympathy is with you at this time. It was a beautiful thing for Uncle Harold to have found a companion who was able to share so much in his life and also all the Ross side of events. She was so kind and I know you will miss her greatly. Hugs.